- Includes 6 regular treatments per year. - Includes treatment of the yard for ant mounds. (Up to 1/2 Acre). - Includes mice & rat protection. 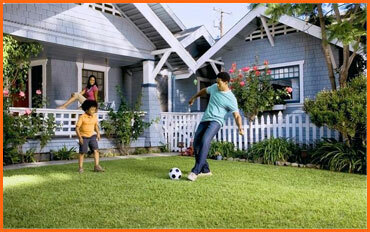 - Provides full coverage of the interior, exterior, garage and yard around the home. 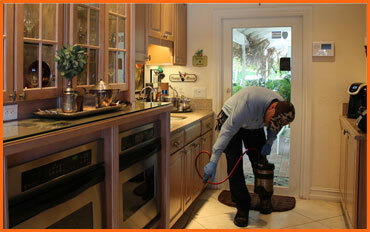 - Coverage includes roaches, ants, spiders, wasps, scorpions & many other pests. - Your home is GUARANTEED to be bug free. If you experience an infestation between regular visits, we will come back out for free. - Includes 4 regular treatments per year. - Provides full coverage of the interior and exterior of the home. Does not include yard treatments. - Not available as a stand-alone service. 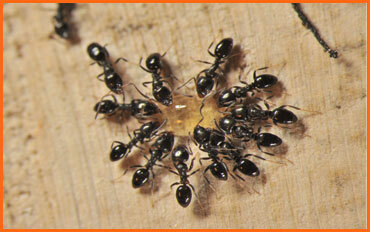 Must be included with a regular bi-monthly pest control service. One time equipment fee of $40 to cover the cost of the equipment. The most important part of a pest control program is keeping the bugs out! We will treat the foundation, around windows and doors, porches and patios and a band around perimeter of the home. This will create a secure barrier between your home and the bugs trying to get in. Once we move inside the home, we will treat all openings and penetrations into the home such as around doors, windows and vents. We will also treat penetrations in the walls for plumbing and HVAC pipes. Baits are a great tool for when pests are hard to reach, or the area needing treatment is sensitive, such as the kitchen. Each time we treat your home, we will evaluate the situation and use baits as needed to ensure control of all your pests. enjoy a bug free home!